Scott, Shackleton and Mawson were the three great explorers of the Edwardian age. 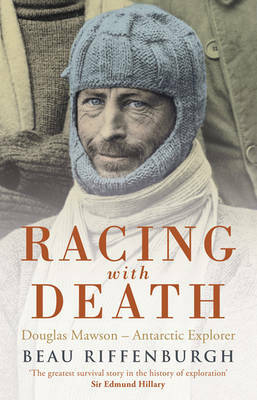 Now Beau Riffenburgh tells the forgotten story of Douglas Mawson and his death-defying expedition of 1911-14. A key member of Ernest Shackleton's famous Nimrod Expedition, Mawson led his own Australasian Antarctic Expedition. However, following the tragic deaths of the other members of his sledging party, he was left to struggle the hundreds of miles back to base alone, only to find that the relief ship had sailed away, leaving him to face another year in Antarctica. Having survived with a small band of men against incredible odds, he later led a groundbreaking two-year expedition which explored hundreds of miles of unknown coastline. Mawson's is a story of true heroism and a fascinating insight into the human psyche under extreme duress.